Saturday, September 17, 2016 9:30 AM Memorial High School AWAY 161 Barr-Reeve High School HOME 61 Meet Recap Matthew Schadler was top overall medalist with a time of 16:53. 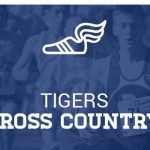 Saturday, September 3, 2016 7:00 AM Memorial High School AWAY 659 Terre Haute South Vigo High School HOME 190 Meet Recap Tigers finish 27th out of 29 schools. Carmel won with a team score of 54. Memorial High School Cross Country (Boys and Girls) Conditioning will begin on Monday, June 20 at the State Hospital (7:30am). Conditioning will be Monday-Thursday. If you have questions, please contact Coach Barnes at 812-459-4098.